At Spinelli Mazda, we want to thank your loyal Mazda customers. 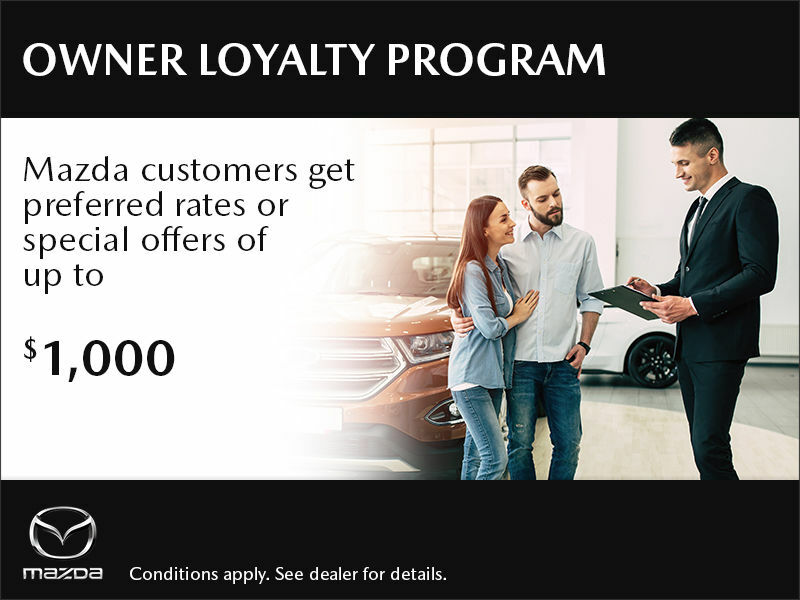 The Owner Loyalty Program rewards current Mazda customers, with preferred rates or special offers of up to $1,000. These rewards are available to existing customers who are either purchasing an additional new or certified pre-owned Mazda or trading in their current Mazda.